Step into history at Old Town San Diego, a state historic park and the site of the first settlement in California. 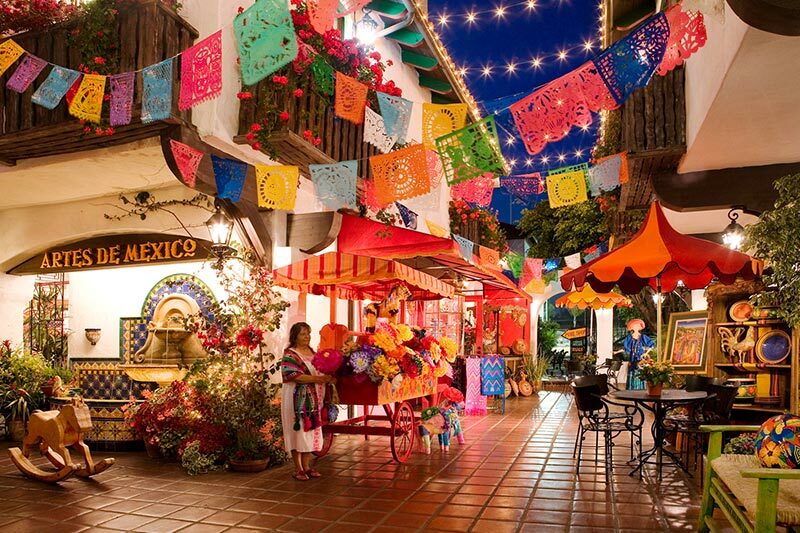 Meander through scenic gardens, discover specialty shops, let the music of strolling mariachis captivate you, and dine on authentic Mexican cuisine and local fare at more than 25 restaurants. Explore the myriad historic sites and museums, including Presidio Park and the Whaley House Museum, which many say is haunted. Enjoy the authentic ambiance of this historic treasure on the Old Town Trolley Tours, with colorful anecdotes by the guides. Free to explore public spaces and historic sites. Public spaces are always open. Restaurants, shops & attractions maintain individual opening hours. What restaurants are located in Old Town? Take your pick from a great selection of fast casual or full service restaurants. Treat yourself to fresh sushi, Mexican, pizza, Thai, seafood and classic American cuisine. Then refresh with hand-crafted cocktails and margaritas at local favorites like Old Town Tequila Factory and the Rockin' Baja Coastal Cantina. Are there haunted places in Old Town San Diego? In a place infused with over 300 years of history, it's not surprising that there might be a few ghosts lurking around. Check out El Campo Santo Cemetery and Whaley House, both sites where a few spirits have been encountered over the years. Then jump on a San Diego Ghost Tour to find even more haunted destinations.